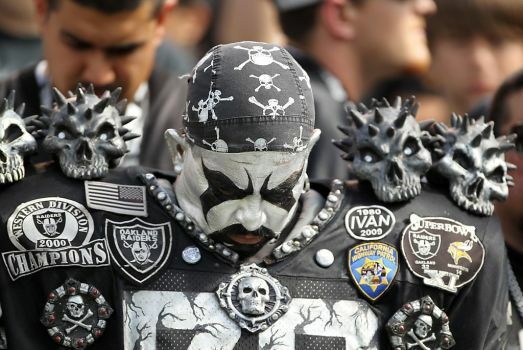 NFL: Can the Raiders Finally Escape the Black Hole in 2015? Imagine: It’s Week 1 of the NFL season and you’ve nearly made it through the full slate of games: the only Thursday night matchup of the year that won’t be a complete blowout and disaster, the whole gamut of Sunday contests, and your first encounter with Jon Gruden and all the people, places, and things he can’t help but love (so much that even the satire of it is true to life). You’re about ready to turn in and call it a night and figure you’ll just leave ESPN on with a sleep timer. Catch a few highlights of baseball games you inevitably ignored and drift off once Sportscenter turns into its nonsense debates about who the Super Bowl favorites are based upon their Week 1 performances. You start to doze and then you hear something. You’re not awake enough to hear it clearly, but it sounds faintly human. Then you hear it again. And again. By the time you open your eyes, it’s become louder than ever: it’s none other than Chris Berman boozily bellowing “THEH RAYDEZZ” over and over again as he calls the second game of the NFL’s useless Monday Night season-opening doubleheader, which almost always seems to feature the Raiders, who always lose. For the record, this won’t actually be happening this season. And while it hasn’t happened every year the NFL has utilized this doubleheader, there’s an argument to be made that fans shouldn’t have ever been subjected to Oakland since, oh, 2004. The last time the Oakland Raiders played a meaningful (i.e. postseason) game, Jon “I love everything” Gruden was coaching against them in Super Bowl XXXVII in 2003 and they got crushed because the Bucs knew all of their plays. Since then, they’ve had eight coaches (nine if you count newly hired Jack Del Rio) and 18 starting quarterbacks. 18! Yet somehow, presumably because they used to be good, there’s a perception every couple years that the Raiders are once again on the upswing. And while you’d think there’d be nowhere else to go but up, they do have a section of the Oakland Coliseum called “the Black Hole.” The team’s been in it for 12 years. And even if they move somewhere like San Antonio, they’ll probably stay in it. IN: (via the draft) — WR Amari Cooper, DE/DT Mario Edwards, TE Clive Walford, G Jon Feliciano, ILB Ben Heeney, LB Neiron Ball, DE/OLB Max Valles, OT Anthony Morris, WR Andre Debose, CB Dexter McDonald. (via free agency and trades) — QB Christian Ponder, RB Roy Helu, RB Trent Richardson, WR Michael Crabtree, C Rodney Hudson, NT Dan Williams, OLB Malcom Smith, ILB Curtis Lofton, S Nate Allen, KR Trindon Holliday. OUT: QB Matt Schaub, RB Darren McFadden, RB Maurice Jones-Drew, WR James Jones, WR Denarius Moore, G Kevin Boothe, C Stefen Wisniewski, DE/DT Antonio Smith, DT Pat Sims, DE/OLB LaMarr Woodley, CB Tarell Brown, CB Carlos Rogers, CB Chimdi Chekwa, S Tyvon Branch. Okay so, we’ve established that the Raiders were not very good last season and have not been very good overall for quite some time now. That makes it curious that, with the exception of the ageless Charles Woodson, the secondary has been overhauled in spite of being the strongest feature of the club last year and ranking 16th in the league. 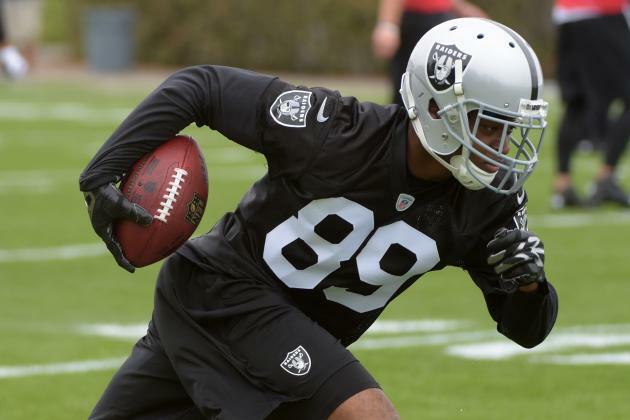 James Jones, their leading pass catcher, is out, but Amari Cooper is in. And Curtis Lofton ranked fourth in the NFL in tackles last season with 145. Frankly, though, the losses probably aren’t as glaring as some of the “additions.” Why are Trent Richardson and Christian Ponder still in the league? How does a backfield of Richardson, Roy Helu, and Latavius Murray find it’s way out of the 32nd mark for rushing yards as an offense? Professional punt muffer Trindon Holliday has come down from Denver, as has “sorry receiver” Michael Crabtree from San Francisco. And Malcom Smith is here to try to rekindle the magic that made him the surprise 2014 Super Bowl MVP. In a nutshell, the 26th ranked passing attack possibly improves marginally – it at least gets younger — but a defense that ranked 22nd against the run and only managed 22 sacks on the year might have bolstered those areas at the expense of the closest thing it had to a strength, the secondary. There’s a reason Oakland’s point differential was the worst in the NFL last season. 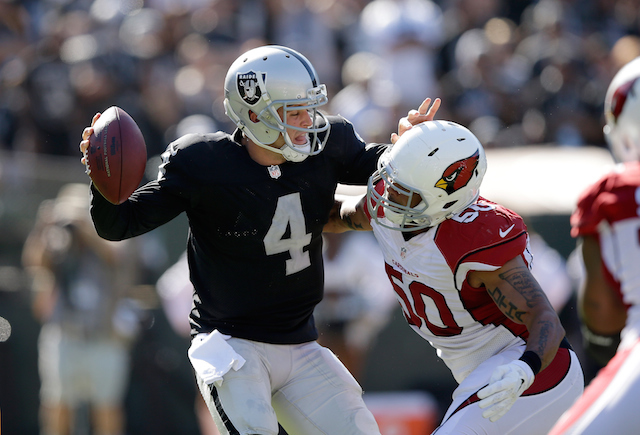 This is Derek Carr’s reward for being the first Raiders QB since Rich Gannon in 2002 to start all 16 games. A team that possibly looks like it’s on the rise has a weird offseason picking up guys who have name recognition for all the wrong reasons or who are past their prime. Having a bad record didn’t spare them on the calendar, either, as the Raiders play what is tied for the seventh hardest strength of schedule in the league next year. It’s hard to see where the new victories are going to come from? It’s apropos, in many ways, that Jack Del Rio is Derek Carr’s coach now. Both are praised less for what they actually do than for how they conduct themselves. They can both take a beating with class and have the heart to keep fighting, even in a hopeless struggle. The Raiders might well show small signs of improvement, but this is a franchise perpetually in the doldrums. They even snuck in a pair of 8-8 seasons during this current malaise that no one seemed to notice. Going 6-10 isn’t going to turn many heads. Such is life in the black hole. Prediction: There’s a Tennessee here, a Jets and Browns there, but it’s always hard to call THEH RAYDEZZ a favorite. We’ll say 5-11 because it feels right – it includes surprise wins like last season’s victories over San Francisco and Kansas City, but it’s still the same old Raiders.